Enhancements and investments in our factory are continuing right to the end of the year as we see our brand new, custom-designed and build industrial sewing machine. 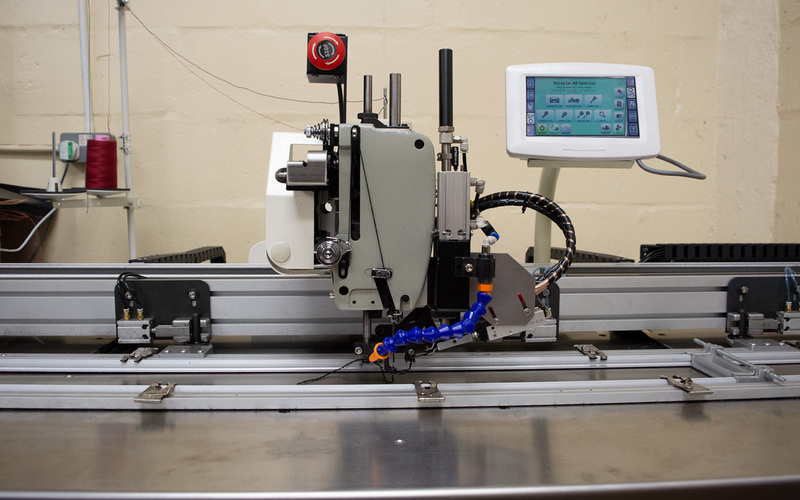 Working with the Franklins Group, which began operating in 1956, we have designed and now installed the new machine specifically for high-quality sewing of heavy leathers in sizes of up to 1.2m x 120mm and thicknesses up to 13mm. The new machine is part of our response to the growing number of orders for Duty Belts and Heavy Duty Firearms Belts for the police, security and military sectors.